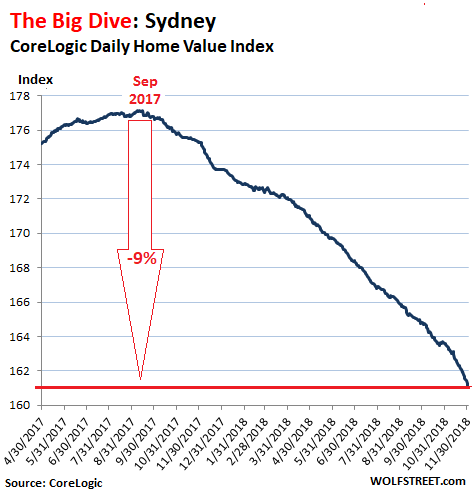 This indicates that although fewer new listings are hitting the market, the stock that is currently listed is taking much longer to sell and overall listings are mounting as a result. Prices of all types of dwellings combined fell 5.8%. 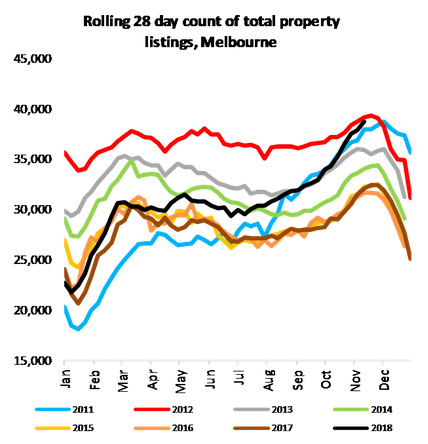 Overall as the housing market weakens and properties take longer to sell, the total volume of stock listed for sale is increasing. Encouragingly in terms of mortgage stress and potential arrears we are not seeing a significant dumping of new stock onto the market. 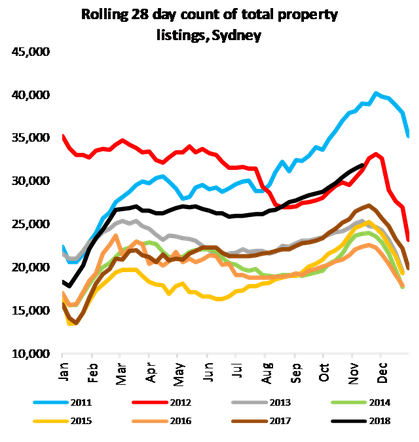 If anything, in Sydney and Melbourne vendors are realizing that it is an inopportune time to sell and fewer vendors are now listing. Of course, this is not to say things can’t change and it is expected that total listings will continue to climb and selling homes will take longer. 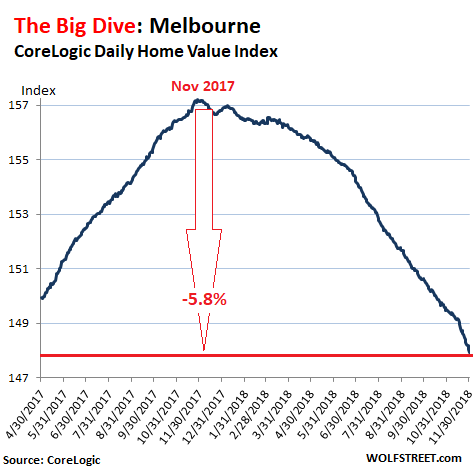 Perth, Western Australia: -4.2% and are down 14% from their peak in 2014, following the mining bust. Darwin, Northern Territory: -0.8%; prices have been on the decline since the peak in 2014. And the sudden reluctance of speculators to pile into the market – including non-resident Chinese investors. They’re getting hammered by the morale-crusher of sinking prices, higher mortgage rates for investors, and a crack-down on interest-only mortgages. Chinese buyers are having to jump over the additional hurdle of tighter capital controls in China. And this is happening even as GDP has grown 3.4% compared to a year ago, and as the unemployment rate – at 5.0%, the way Australia measures it – is at the lowest level since 2012. So these are still the good times. This housing bust has not been caused by waves of people losing their jobs. Any future weakness in the economy will only add to the housing bust.